Der Artikel Emma I. Girard: Parent-Child Interaction Therapy with Toddlers wurde in den Warenkorb gelegt. Ihr Warenkorb enthält nun 1 Artikel im Wert von EUR 106,66. This book presents an early treatment model for toddlers. It describes the early life span development, trajectory, and future potential of toddlers and how it may be powerfully influenced by the protection and guidance of caregivers to meet toddlers' physical and mental health needs. 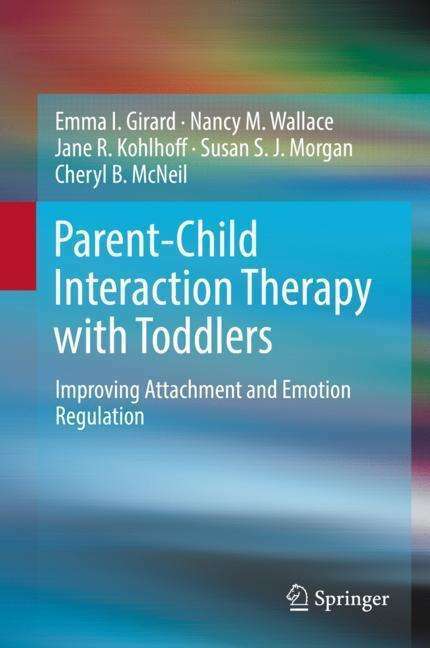 It offers an in-depth guide toParent-Child Interaction Therapy with Toddlers (PCIT-T), an evidence-based program for addressing and preventing behavior problems affecting young children's development. The book details the innovative intervention design and how it guides clinicians in providing treatment for 12-month old to 24-month old toddlers with disruptive behaviors in addition to being used as a prevention model for caregivers experiencing stress of child rearing. PCIT-T focuses on core areas of social and emotional development, including behavior management and language skills, and can be used in dealing with difficulties as diverse as tantrums, language issues, autistic behaviors, and separation anxiety. Play therapy and compliance training in child-directed as well as parent-directed sessions are also examined. 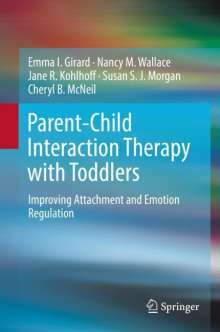 Initial chapters provide an overview of attachment and behavioral theory components that are foundational to the treatment model. Subsequent chapters provide a session-by-session guide and clinical manual for implementation of PCIT-T as well as the clinician tools needed to monitor treatment integrity and fidelity to the model. A range of behavioral assessments used in PCIT-T. Instructions for room set-up, toy selection, and special considerations when providing PCIT-T treatment. Preparation guides for the pretreatment interview, assessment sessions, and weekly coaching sessions. The importance of child-directed interaction toddler (CDI-T) and parent-directed interaction toddler (PDI-T) in teaching children the necessary skills to regulate their emotions and develop self-control. Parent-Child Interaction Therapy with Toddlers is a must-have resource for clinicians and related professionals, researchers and professors, and graduate students in the fields of clinical child and school psychology, social work, pediatrics, infancy and early childhood development, child and adolescent psychiatry, primary care medicine, and related disciplines.